We can’t take our swimmable and fishable waters for granted, even in the Land of 10,000 Lakes. The more time that has passed since the passage of the landmark Clean Water Act in 1972, fewer people remember that our public waters used to be at the complete mercy of polluters. As memories of burning rivers and bloated fish fade from public consciousness, it becomes even more important to understand the value of Minnesota’s remaining clean water. What is now known as the Clean Water Act was actually a set of amendments made to the 1948 Federal Water Pollution Control Act, spurred by increasingly visible environmental disasters. Cleveland’s Cuyahoga River catching fire (1969 marked the thirteenth time, by one account) was perhaps the most spectacular of these, but Minnesota had its own problems with water impairment. Discharges of harmful materials, like a devastating soybean oil spill on the Blue Earth River near Mankato in 1963, were neither required to be reported nor cleaned up. Pipes emptied directly into our public waters, like the culvert releasing an “acrid smelling liquid” into the Mississippi River in Minneapolis in 1973, as depicted in this photo from the National Archives. The Clean Water Act made it illegal for individuals and companies to directly discharge pollution into navigable waters without a permit, which in turn gave the EPA the authority to regulate pollutants being released into our public waters. The Clean Water Act allowed the EPA and partnering states to set water quality targets for waters, as well, and to use the National Pollutant Discharge Elimination System (NPDES) permits to limit, but not eliminate, the discharge of pollutants by discrete sources. By controlling the flagrant dumping of toxic, flammable, and destructive materials into rivers and lakes, the Clean Water Act has achieved remarkable success in improving the overall quality of many of our waters to be fishable and swimmable, a major goal of the Act. Despite these historic achievements, our clean water is leaking through our hands. In April 2015, the Star Tribune reported that “half the lakes and rivers in southern Minnesota are too polluted much of the time for safe swimming and fishing,” results from a survey by the Minnesota Pollution Control Agency (MPCA). The MPCA’s work to update and reauthorize taconite mining NPDES permits under the Clean Water Act have stalled, and the commissioner admitted that the work is paused, despite an active investigation by the EPA as to whether the MPCA is sufficiently upholding the Clean Water Act. The Izaak Walton League of America reported results from a nation-wide survey that Minnesota’s waters are plagued with mercury, nutrients and sediment, bacteria, PCBs (a possible carcinogen), and salts that are detrimental to the aquatic environment. The Minnesota Department of Health has raised alarms about elevated nitrate levels (found in fertilizers, animal waste, and human waste) found in rural groundwater systems, since it can infiltrate drinking water wells and cause “blue baby syndrome,” a serious condition for infants under the age of six months. If we continue taking our remaining swimmable, fishable, and drinkable water for granted, we might not have much left. One important step to protecting our clean water is to understand where the high quality waters remain and where waters have been degraded, and how. The Izaak Walton League’s report calls for increased frequency of testing water quality as an important step. Because state budgets can be tight, citizen involvement such as with the MPCA’s Citizen Lake Monitoring Program can help expand the reach of the water quality monitoring program. 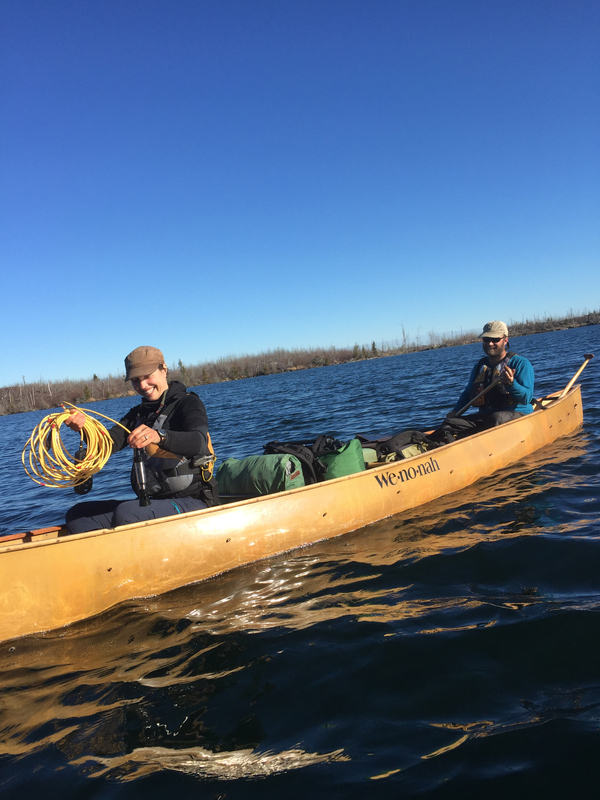 Explorers Amy and Dave Freeman are participating in this program and collecting additional water quality data as part of their Year in the Wilderness expedition in the Boundary Waters Canoe Area Wilderness. The next step must be to protect sensitive watersheds that contain increasingly rare pristine water. The waters of the Boundary Waters Canoe Area Wilderness are so clean that they are swimmable, fishable, and even (at your own risk) drinkable. In fact, the State of Minnesota rates the waters of the Boundary Waters as “outstanding resource value water” for their “high water quality, wilderness characteristics, unique scientific or ecological significance, exceptional recreational value, or other special qualities which warrant stringent protection from pollution.” As part of the administrative rules that govern the State of Minnesota, these waters may not be degraded by either new or expanded sources of pollution. 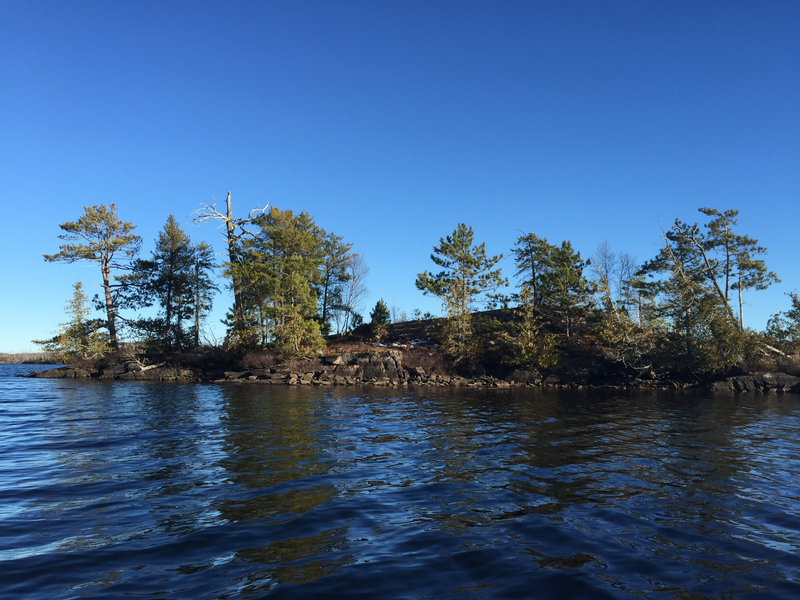 Such concern for the Boundary Waters Wilderness is highly warranted, especially since half of the state’s waters have been found to be unsuitable for swimming and fishing. We have the responsibility to ensure that the Boundary Waters Wilderness retains its clean water for this and future generations. We must prevent new sources of toxic pollutants, like from sulfide-ore mining, to be placed in its watershed. The Boundary Waters Canoe Area Wilderness is a breathtaking wild landscape of lakes, streams and woods that covers 1.1 million acres along the Canadian border. International mining companies have proposed building sulfide-ore copper mines right on the edge of the Wilderness, threatening to contaminate its pristine waters and disrupt its quiet wilderness character. Through the Science Desk series, we try to describe the importance of the Boundary Waters, its watershed and the different ways sulfide-ore copper mining would fundamentally change the landscape. Instead of a written account this month, we invite you to take a virtual tour and see what’s at stake. 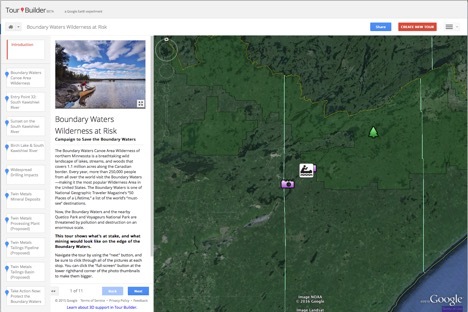 This tour uses the Google Earth platform to guide you through the beautiful Boundary Waters in a geographically grounded context. You can see pictures of the South Kawishiwi River and Birch Lake, as well as check out the locations of the sulfide-ore copper mining facilities proposed by Twin Metals Minnesota. View the Google Earth tour here. The tour works best using Firefox or Safari with the Google Earth Plugin installed. You can still view the tour using Chrome, however it will be in 2D rather than 3D. If you prefer to see the tour in the Google Earth program itself, you can download this KMZ file and open it using Google Earth. Use the play/pause button in the bottom left hand corner of the map window to start and stop the tour after reading the information windows and scrolling through pictures. Science Desk: Winter Is Hard. Sulfide-Ore Copper Mining Would Make it Harder. Minnesotans are accustomed to difficult winters, and so are its animals. 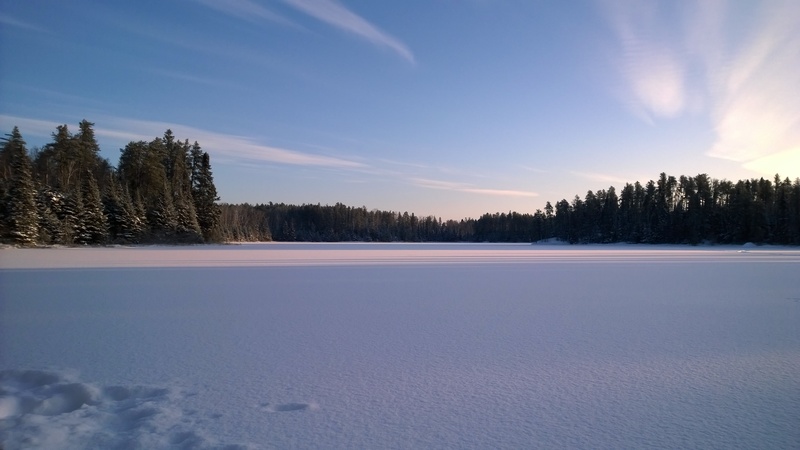 While a person might don an extra coat or retreat to a heated house, animals rely on adaptations and changes in behavior to survive cold temperatures, deep snows and frozen lakes found in the Northwoods, including the Boundary Waters Canoe Area Wilderness. Though these animals have evolved to survive these harsh conditions, winter is demanding and puts extra stress on wildlife that are constantly trying to survive. Placing massive industrial facilities associated with sulfide-ore copper mining on the edge of the Boundary Waters would heighten the existing stressors and end badly for these year-round residents. 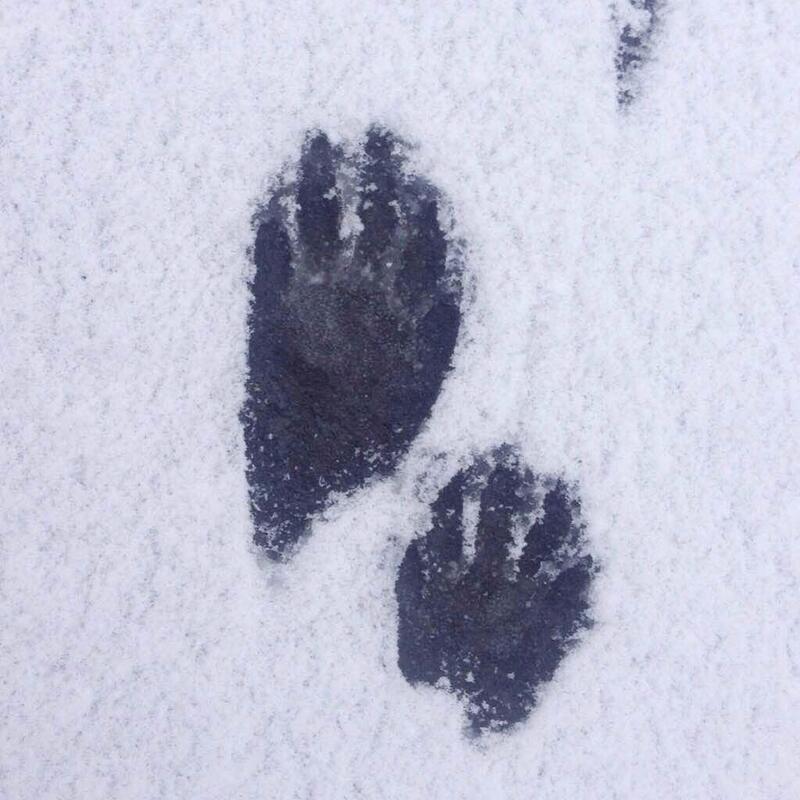 In some ways, animal's winter adaptations parallel humans’ responses to winter. In 2014, Doug Smith of the Star Tribune shared a nice roundup of how animals survive Minnesota’s brutal winters. Whitetail deer, for instance, grow a winter coat with hollow hairs that has more insulating power than their summer coat. Likewise, a person might choose to wear a fleece or down coat that traps more warm air near her body, creating better insulation between her and the cold surroundings. Smith goes on to describe chickadees and other birds pulling a similar move by “puff[ing] out their feathers to increase insulation.” Chickadees can also “pull one foot up into their feathers,” much like a skier pulling cold fingers out of a glove to warm them in his palm. Unlike humans, many animals, especially birds that don’t migrate, must constantly consume calories to survive winter conditions. Deep snow and ice can make it difficult for birds to forage because their normal foods are covered. Waterfowl can collect around open water, creating a high concentration of prey for predators to attack. Grouse also stick around during the winter, and expose themselves to predator attack while digging through deep snow for food. Rabbits and snowshoe hares must also frequently forage for food, relying on woody plant stems, balsam fir twigs and other hardy vegetation that lasts throughout the winter. Moose, which are extremely well adapted to winter with their long legs and heavy winter coats, appear to be increasingly stressed during winter for counterintuitive reasons. The decline is likely spurred by a variety of factors acting together, and recent information from the Minnesota moose study suggests that winter warming plays an important role in moose mortality. Moose are prone to heat stress in winter if temperatures rise since they can’t cool down in ponds and their dark fur acts as a heat sink in the midst of a snow-covered landscape. Warmer winters also allow the explosion of winter ticks, which attach to moose in the late fall and terrorize the animals well into the winter. Moose in New Hampshire and Maine scrape themselves raw to rid themselves of the blood-sucking parasites, which exposes them to cold temperatures when they finally come. 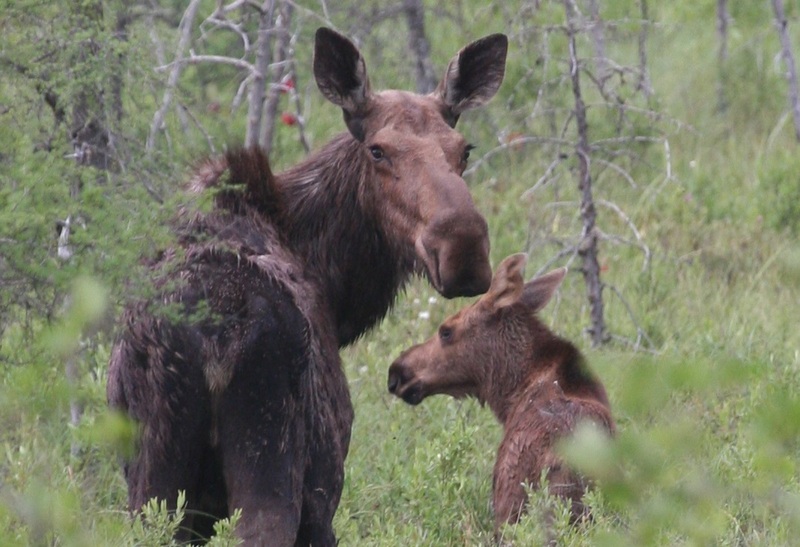 These stresses reduces the ability of many moose to forage and exposes them to higher levels of predation or other diseases. We’ve discussed on this blog how sulfide-ore copper mining proposed in the Boundary Waters watershed would affect moose specifically, and the impacts would likely be worse in winter since it is an already stressful time. This is true for other animals, as well. We discussed the interference noise and traffic would cause in birds and other animals’ ability to look for food while also watching for predators when we investigated the above-ground footprint of an underground mine. All day, year-round noise, light and traffic from the proposed mine would keep waterfowl, deer, grouse, snowshoe hare and other hardy winter creatures from hearing predators approaching from the sky or through the woods. The more time put into listening for and hiding from predators, the less food they can collect. If they prioritize foraging, the animals are more exposed to being eaten. The more time spent foraging, wading through deep snow, or keeping warm in adverse conditions, the more food is necessary. 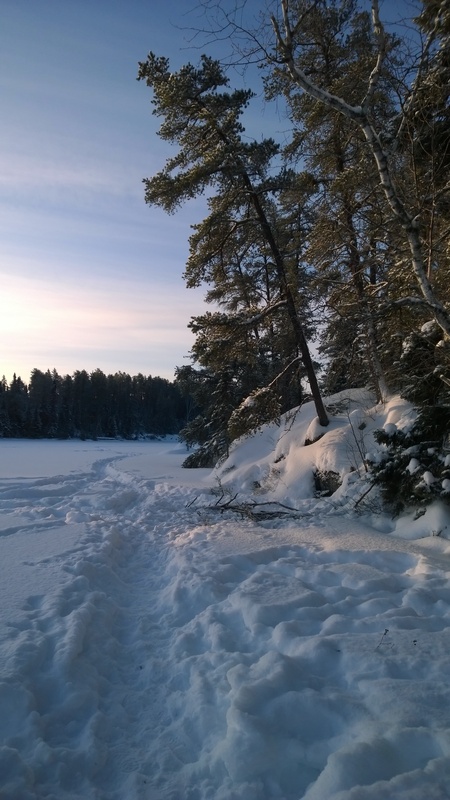 Industrializing the landscape around the Boundary Waters will accentuate these winter tradeoffs, with potentially dire results for animals that have otherwise figured out how to survive in harsh conditions. Science Desk: Where Do We Stand, and Where Do We Go From Here? 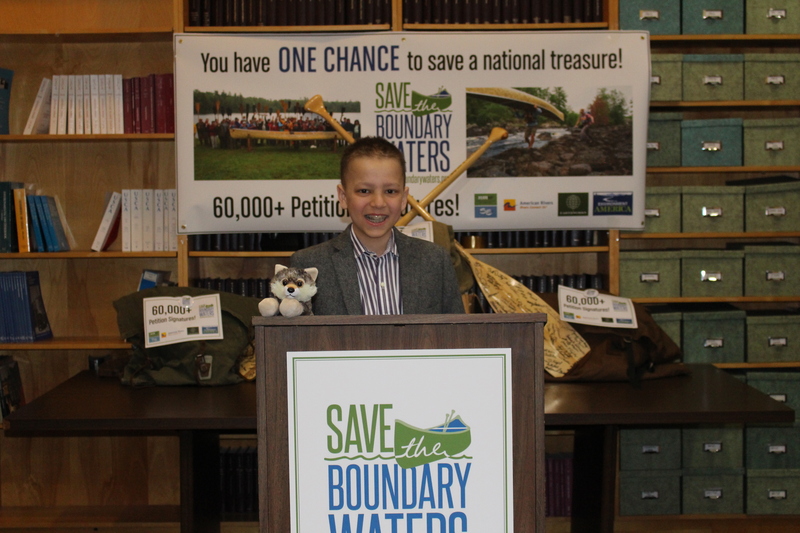 2015 has been a big year for the Campaign to Save the Boundary Waters. 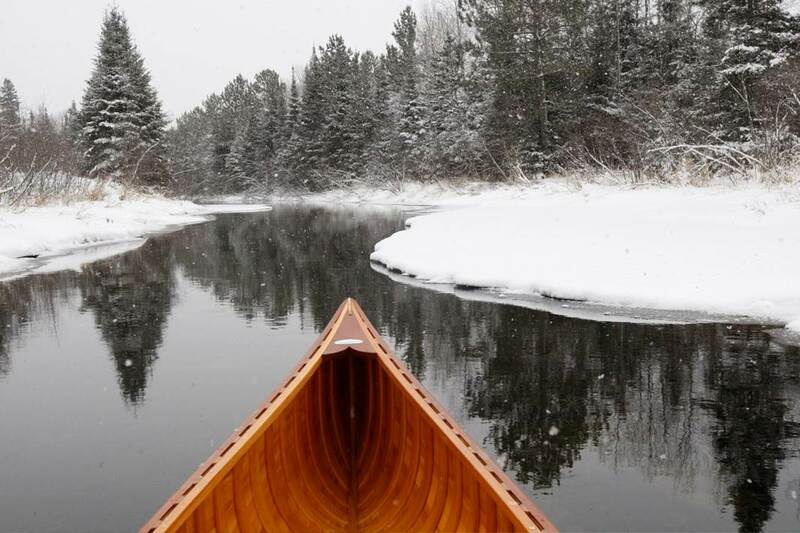 We are grateful to our partners, supporters and canoe country lovers who have worked so hard over the last year towards our goal of permanent protection for the Boundary Waters Canoe Area Wilderness and Voyageurs National Park watershed. But where are we now, and where are we going in 2016? As December draws to a close, we have many reasons to celebrate. Two full years after Twin Metals Minnesota’s federal mineral leases expired, there have been no renewals or issuances of new federal mineral leases within the Boundary Waters and Voyageurs watershed. In March, the Campaign delivered more than 60,000 petitions demanding permanent protection of the watershed to lawmakers and decision makers in Washington, D.C. As a result of these tens of thousands of people speaking up, Rep. Betty McCollum introduced the National Park and Wilderness Waters Protection Forever Act in the U.S. House of Representatives, and it has since gained 30 co-sponsors representing communities from coast to coast. Closer to home, hundreds of volunteers have tabled at local events, educated passerby at the Great Minnesota Get Together, phonebanked, written letters of support and toured officials around Ely and the South Kawishiwi River, where Twin Metals proposes to build its sulfide-ore copper mine. 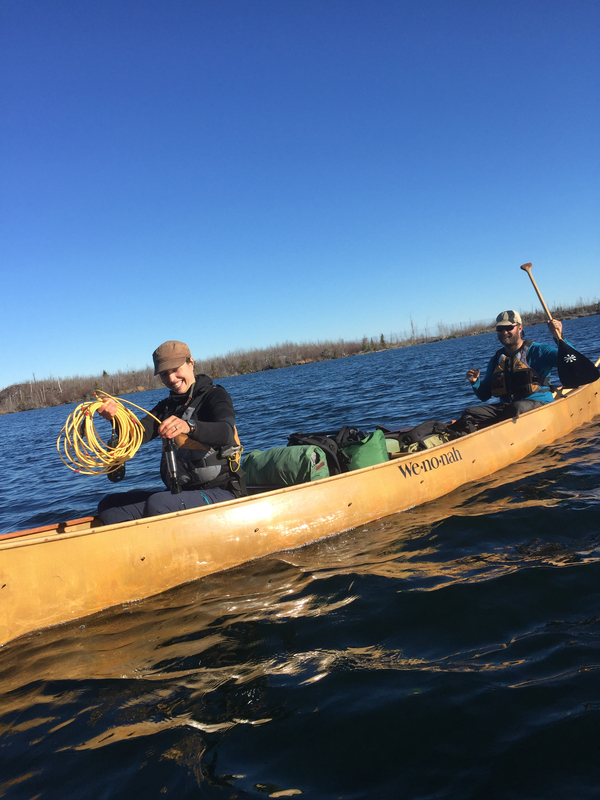 Strong passion for the Boundary Waters and the surrounding canoe country, plus an underlying understanding of the ecological and economic threats posed by sulfide-ore copper mining, helps explain 2015’s high degree of activism. 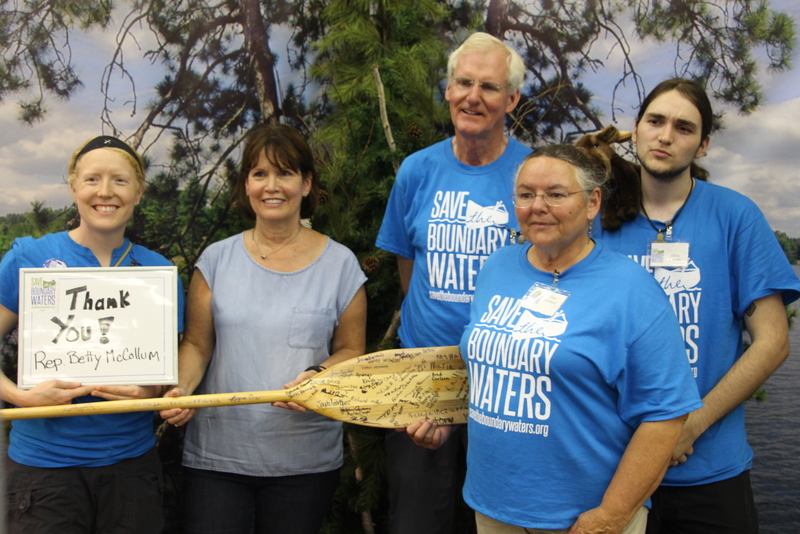 People from across the country and across the world care about the Boundary Waters, especially since it is so accessible from both technical and distance standpoints. I routinely hear stories from people I meet all across the country how their first meaningful fishing trip, their first extended wilderness trip, or the first time they went camping with their family happened in the Boundary Waters. When they learn that this beloved place is threatened by proposed sulfide-ore copper mines whose pollution would flow downstream into it, it spurs concern and action. To date, more than 100,000 people have taken at least one action demanding permanent protection of this national treasure. The concern deepens upon reflection on the mechanisms of pollution that would threaten the Boundary Waters. In May, we discussed the longstanding track record of water pollution caused by sulfide-ore copper mines. Routine spills of toxic materials, chemicals and industrial wastewater are common at these types of mines, even in the United States. We watched in horror as the Animas River turned orange [photo: Durango Herald] as it ran through beautiful Durango, Colorado, and shuddered to think what would happen to Birch Lake and the South Kawishiwi River if sulfide-ore copper mining were to be allowed on the edge of the Boundary Waters. Finally, we considered the still great impacts of building an underground mine, including infrastructure footprints, wildlife corridor disruptions, traffic, noise, dust and light. These are only a few of the impacts that the Boundary Waters and the people it supports would experience, of course. It can be easy to get lost in worrying about the potential impacts, but it is also important to remember why canoe country is such a beloved place. The Boundary Waters is a stunning example of a large, intact ecosystem. It supports charismatic wildlife like bear, wolves and moose, which we discussed in June. The wilderness also supports people, whether they only visit once or have lived alongside the wilderness for years. Generations have visited the Boundary Waters and other wilderness areas in search of healing, self-knowledge, challenge and personal development. The natural amenities of the wilderness and surrounding Superior National Forest also support hundreds of businesses along its edge, from wilderness outfitters and retailers to manufacturing companies that rely on the high quality of life to attract and retain a skilled workforce. Of course, these lands have sustained people for much longer than the five decades the Boundary Waters Canoe Area Wilderness has been designated under the 1964 Wilderness Act. The lands lie within the 1854 Ceded Territory, and as such are supposed to be maintained for hunting, fishing, gathering and other usufructuary rights for members of the Bois Forte, Fond du Lac and Grand Portage Bands, who have relied upon the lands for generations. We have accomplished much in 2015, and there is still much more work to do in 2016. At some point, the federal agencies will make a decision whether or not to renew Twin Metals’ federal mineral leases. We also hope that the agencies will allow for a broader conversation and decision on whether sulfide-ore copper mining is an appropriate activity adjacent to the nation’s most popular wilderness. Guided by the principles that the Boundary Waters is a special and beloved place, that sulfide-ore copper mining is a toxic and risky industry, and that future generations deserve to inherit a wilderness as healthy and life-giving as it is today, we will push tirelessly for its permanent protection. We hope you join us. The Boundary Waters Canoe Area Wilderness is Minnesota’s crown jewel, and we cannot risk degrading it. 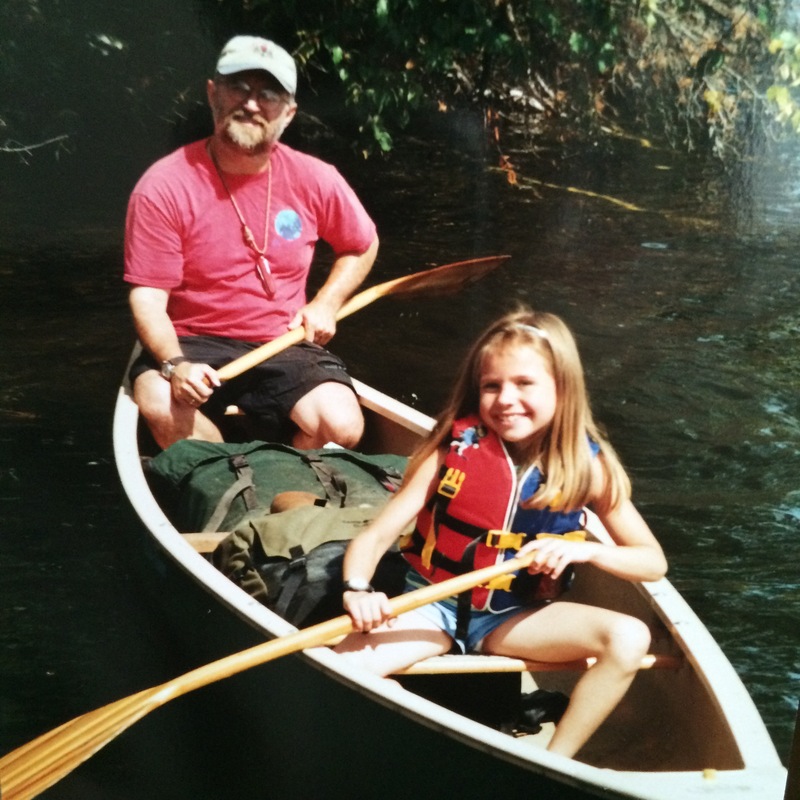 Fortunately, Dave and Amy Freeman are helping characterize the water quality of the Boundary Waters. 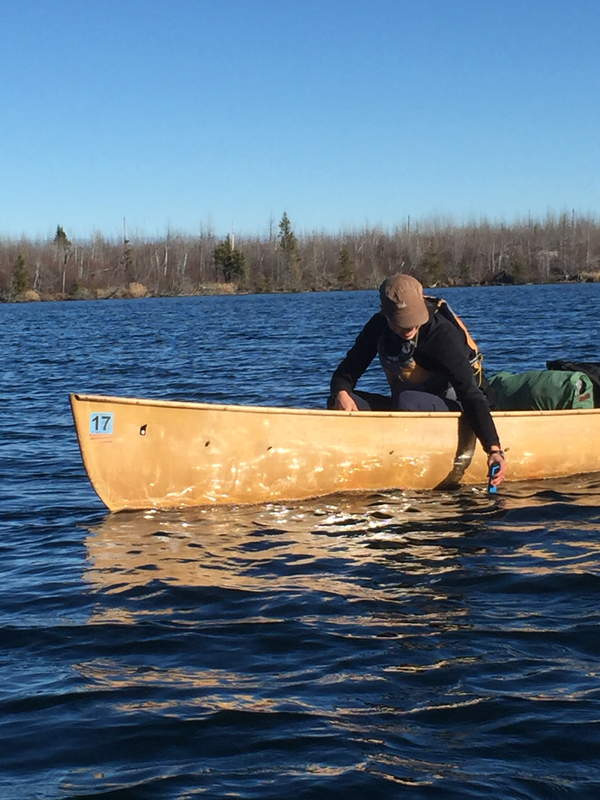 They are using their A Year in the Wilderness expedition to sample water clarity, dissolved oxygen, and conductivity in as many of the Boundary Waters’ 1,175 lakes as they can reach. I recently had the opportunity to meet up with them as they took samples on Rog Lake, and I came away with an appreciation for how hard (and important!) it is to collect data in such remote places. Sunday’s sunshine and warm temperatures were a shock for mid-November, but we basked in the mild conditions. A sapphire mirror stretched away from the landing when we first dipped our paddles in Seagull Lake. We’d driven to the end of the Gunflint Trail the night before and camped at the Trail’s End Campground, where cold stars transfixed us. We had little sense for the rolling hills, exposed rock outcroppings, and remnants of the Ham Lake Fire that surrounded us until the morning broke clear and bright. After being away from canoe country for a little while, it was a perfect reminder of the breathtaking beauty of water, sky, and rock. We paddled southwest along Three Mile Island and headed for the 20-rod portage into Rog Lake, where I’d arranged to meet Dave and Amy. A light tailwind ruffled the perfect reflection of bare birch and burnt pines. We fell into a rhythm of swinging paddles, quiet conversation, and darting eyes. A bald eagle perched atop a tall wooden spire caught my eye, and I appreciated for the thousandth time the critical role that environmental regulation played in bringing back America’s iconic bird. Any student of environmental science will tell you that we can’t protect what we don’t understand. When eagles, osprey, and other birds began disappearing across the country, it took a scientist named Rachel Carson to connect the dots between industrial pesticide use, bioaccumulation of toxins up the food chain, and bird declines. Restrictions on pesticide use, the Endangered Species Act, and a whole host of curbs on industrial destruction of the environment followed in subsequent decades. But what happens when a threatened landscape such as the Boundary Waters is too remote to be studied extensively, especially with limited time, money, and personnel? Without this complete understanding of the Boundary Waters ecosystem’s value -- especially the value of its clean water -- land management agencies would not be able to make a decision that best protects this incredible place. That’s why Dave and Amy Freeman are working so hard to collect water quality data for lakes that the Forest Service and Minnesota Pollution Control Agency (MPCA) simply do not have the time or resources to sample. When conditions allow, Dave and Amy paddle to the deepest part of the middle of a lake and prepare their instruments. On Rog Lake, they paddled to a point their maps said was 40 feet deep and clocked the position on their GPS device. Dave held the canoe in position while Amy carefully lowered a Secchi disk to measure the water’s clarity, a metric called “turbidity.” The amount of light that penetrates the water is important to track since it influences how well submerged aquatic plants can grow, as well as reflects the amount of sediment, nutrients, and other pollution present in aquatic environments. After the Secchi disk, which was weighted by rocks, disappeared from view underwater, Amy pulled it back up until she could see it again and marked the depth. It was the 56th lake they’d sampled, and the clearest by far. After pulling the Secchi disk back to the surface, Amy prepared a more complex instrument with a probe at the end of a 15-meter cable. She lowered the probe meter by meter and recorded the temperature and dissolved oxygen meter at each stop. As most trout anglers know, cold water can hold more dissolved oxygen than warm water. The oxygen content and temperature can vary with depth, however, and these layers change on both daily and seasonal cycles. By collecting data at varying depths over the course of a whole year, including spring thaw and winter freeze-up, Dave and Amy will able to provide the Forest Service and MPCA with lake mixing data they wouldn’t otherwise be able to collect. Amy finally hit bottom with the probe and pulled it back into the boat, coiling the electrical cord carefully. The final step was to dip a handheld electrical conductivity meter into the surface of the lake. The reading was higher than other lakes they’d sampled, suggesting that there was a higher concentration of total dissolved ions in Rog Lake than in others they’d tested. Electrical conductivity is an important water quality metric, especially when it comes to considering the impacts of sulfide-ore copper mining, because it reflects the amount of metals present in the ecosystem. Increased electrical conductivity in waters downstream of sulfide-ore copper mines would indicate that they were leaching metals into the surrounding waters, with potentially devastating impacts to aquatic life and human health. While Amy recorded the electrical conductivity data and put their sampling gear away, I couldn’t help but feel immensely grateful to her and Dave for taking the time to systematically sample the water across the Boundary Waters. 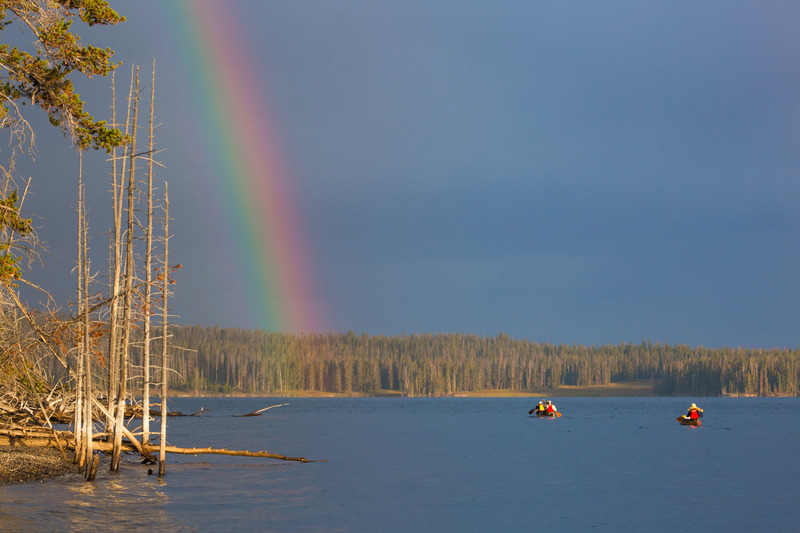 Its vast remoteness draws hundreds of thousands of people every year, but prevents researchers from comprehensively documenting the Boundary Waters’ outstanding water quality. By filling in these data gaps, Amy and Dave are ensuring that we have the information necessary to protect the Boundary Waters for this and future generations. 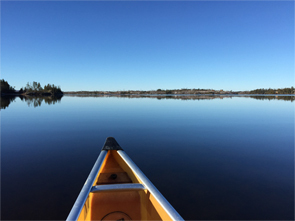 As you know, the Boundary Waters Canoe Area Wilderness is a beloved canoeing, fishing and hiking destination, known around the world for its wild landscape, deep silence and opportunities for solitude. Those qualities are threatened by Twin Metals mining company’s proposal to drill hundreds of wells as it seeks to develop a massive sulfide-ore copper mine on the edge of the Boundary Waters. The threat is mounting now, and you can take action today. Earlier this month, the US Forest Service released an Environmental Assessment of Twin Metals’ request to begin drilling hydrogeologic wells on Superior National Forest land. Twin Metals itself argues that the hydrogeologic study is necessary so it can develop its proposed mine on the edge of the Wilderness. We’re concerned that in acting only on the application, the Forest Service’s Environmental Assessment ignored the devastating impacts that mining itself would have on the Boundary Waters and the communities it supports. By dodging this opportunity to study the cumulative impacts of mining-related activities, the Forest Service has acted in a way that will allow these harmful impacts to the Superior National Forest and Boundary Waters to multiply until their wild characteristics are fatally undermined and permanently lost. T he proposed drilling program, combined with previously approved exploratory drilling, is estimated to subject 6,968 acres of the Boundary Waters Wilderness to drilling and mechanical noise. A total of 13,406 acres of the Superior National Forest open to recreation (including the Boundary Waters Wilderness acreage) would be impacted by the noise. Instead, the Forest Service should assess the impacts of sulfide-ore copper mining on America’s most popular Wilderness before allowing mining companies to carve up the Superior National Forest and threaten the solitude of the Boundary Waters. We hope that you will take action to ask the Forest Service to use common sense: assess the impacts of sulfide-ore copper mining before allowing companies to riddle the Superior National Forest with more holes. This proposal is just the tip of the iceberg. We're counting on your continued support to make sure we protect the clean water and unspoiled forests of the Boundary Waters for this and future generations. Here’s the message you can send to the US Forest Service today by taking action (there’s also the option to edit this or write your own). The comment period closes November 9. The Boundary Waters Canoe Area Wilderness and Superior National Forest are irreplaceable national treasures. The watershed of the nation’s most popular Wilderness is an inappropriate place to site sulfide-ore copper mines, which have a consistent history of toxic pollution. 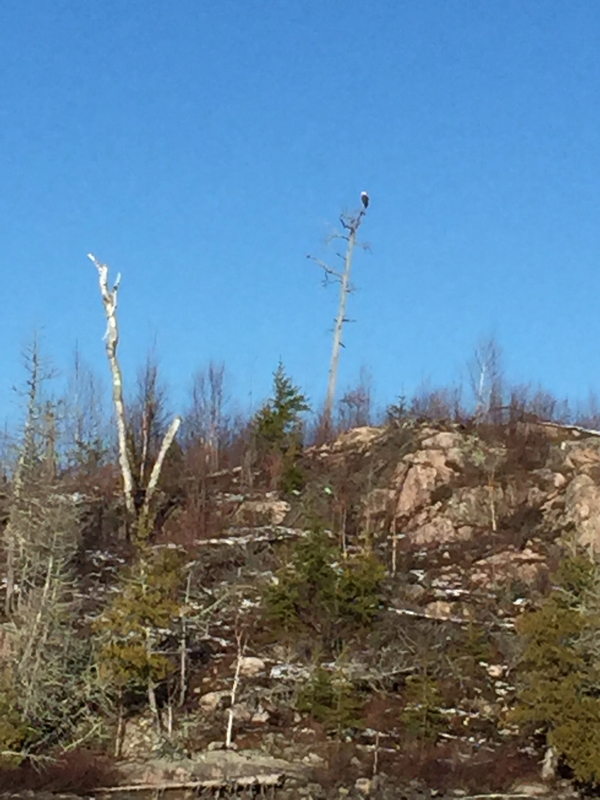 As the Twin Metals Minnesota Hydrogeologic Study Special Use Permit Environmental Assessment (EA) acknowledges, the Forest Service must preserve the wilderness character of the Boundary Waters (“untrammeled,” “undeveloped,” “natural” and presenting “opportunities for solitude”). Allowing sulfide-ore copper mines to be sited along the edge of the Boundary Waters would have major negative environmental and economic impacts, including harm to the wilderness character of the Boundary Waters. The EA inappropriately limits its scope to solely consider the impacts of the proposed hydrogeologic study special use permit and not the impacts of the mining activities that it is designed to bring about. Instead, the EA should include sulfide-ore copper mining as a reasonably foreseeable connected action; Twin Metals Minnesota would not propose the hydrogeologic study if it did not seek to develop a massive sulfide-ore copper mine on the edge of the Boundary Waters. 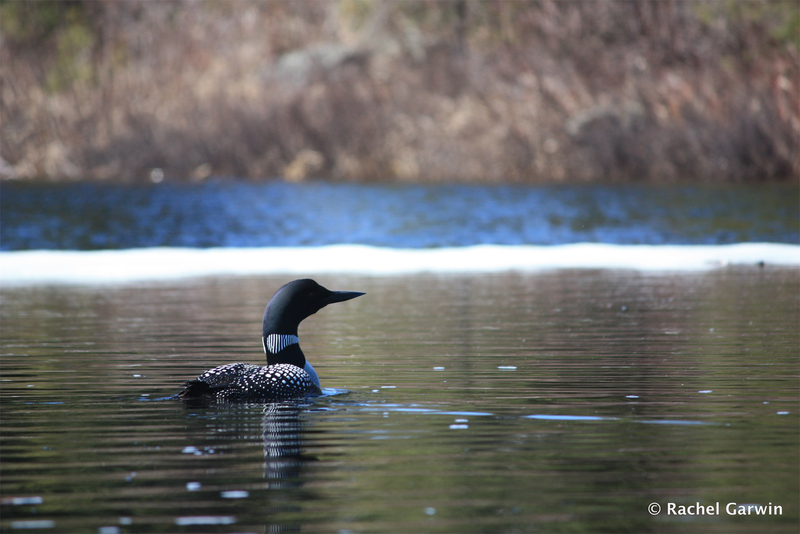 In addition to the inappropriately limited scope of the EA, the proposed drilling would have unacceptable impacts to the wilderness character of the Boundary Waters for sustained lengths of time. Twenty-four hour drilling for up to 4 weeks at a time for 6-18 months would severely impair opportunities for solitude, especially when combined with the already approved exploratory drilling programs. Drilling noise would disrupt recreation opportunities on 13,406 acres of the Superior National Forest (including 6,968 acres within the Boundary Waters), which would impact a significant number of summer and winter users. The number of both summer and winter visitors impacted by drilling should be kept at a minimum. Finally, should the special use permit be approved, it is essential that the hydrogeological data collected by Twin Metals be shared in a digital, useable form (i.e., Excel spreadsheet instead of static PDF) with both the agencies and the public. If Twin Metals is allowed to abuse public lands, it must share its results with the public. 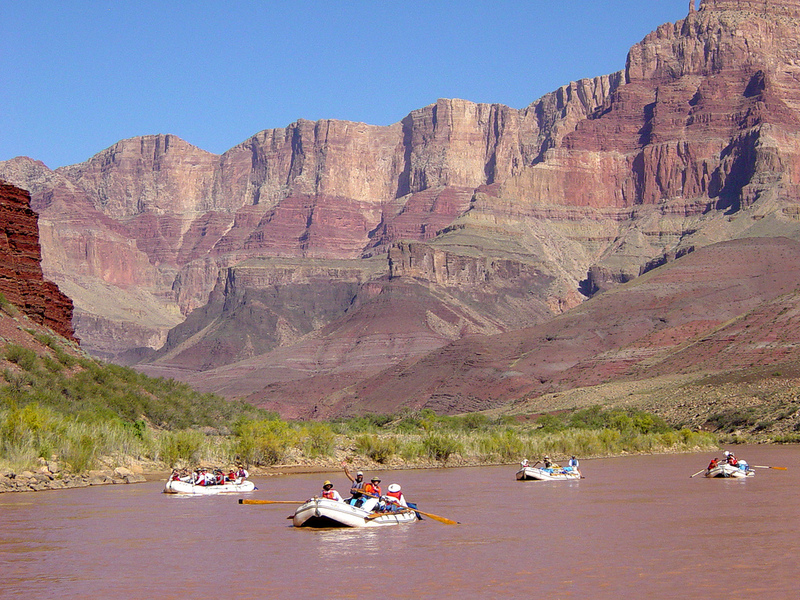 Please take action today in helping protect this beloved national wilderness. Add your comment to express your concerns. There’s more work to do, but this is an important step in our efforts to gain permanent protection for this watershed. 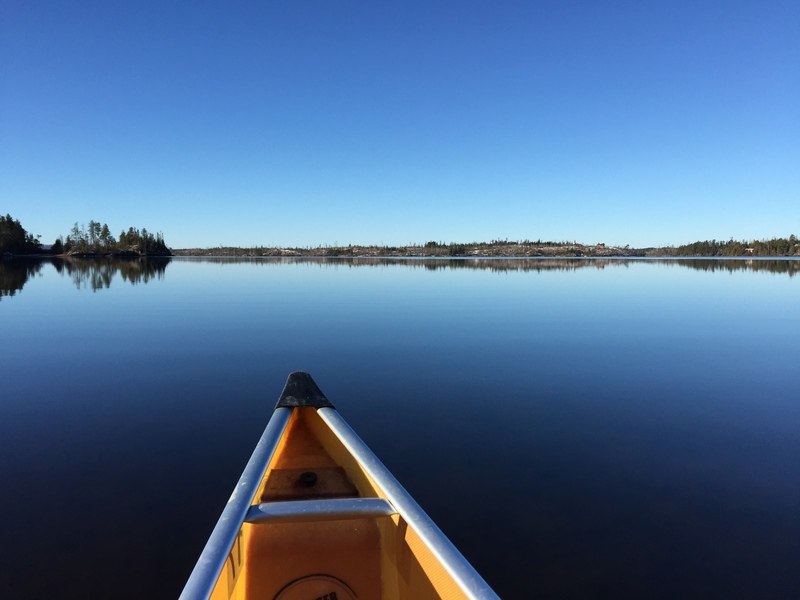 With October nearly at hand, we at the Campaign have heard story upon story of the summer’s exciting adventures into the Boundary Waters Canoe Area Wilderness. Our interns, supporters on college campuses across the state, family members and friends have regaled us with tales of delicious walleye and paddling and portaging through Minnesota’s beloved canoe country. These stories are told with a twinkle in the eye and smile on the face that convey much more than entertainment. 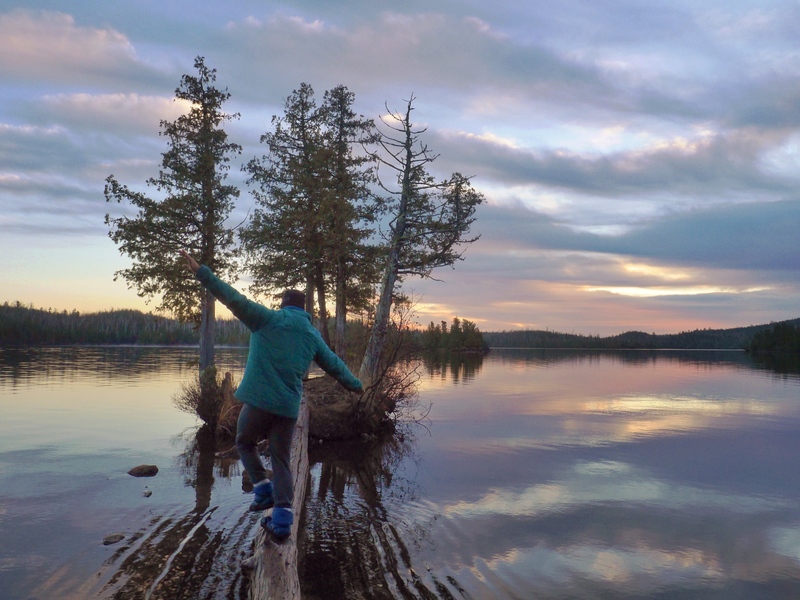 Most Boundary Waters lovers understand intuitively that experiences in the wilderness also offer a wide range of personal benefits, from stress relief to building confidence to spending valuable family time together. What many don’t know, however, is that researchers have studied and documented these benefits for decades. While social and intrinsic benefits are also important, personal benefits are the ones that fuel the most stories about the Boundary Waters. 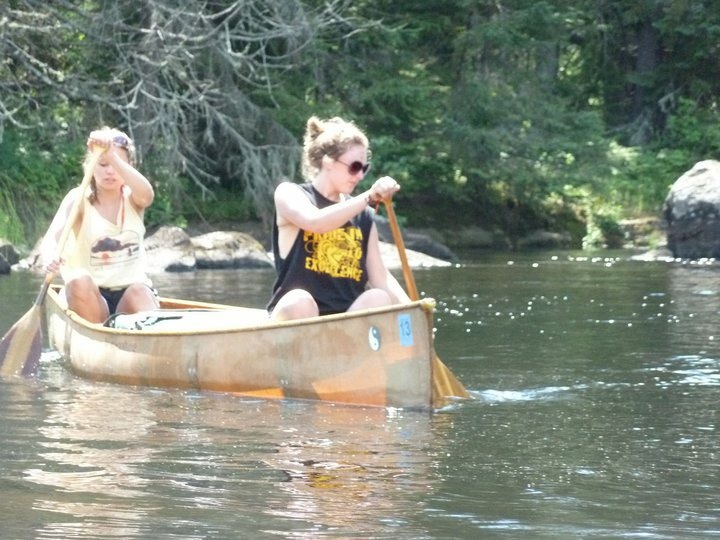 When a teenager returns from a Boundary Waters canoe trip organized by a faith group or summer camp boasting of newfound skills and inseparable bonds with her groupmates, she is the poster child for the developmental benefits of wilderness. These include changes in self-concept (how one understands oneself), self-actualization (the belief in one’s ability to achieve goals), and self-confidence, among others. As a former wilderness expedition instructor in the Boundary Waters, I used to marvel at the pride with which my teenaged students showed me the knots they’d learned to tie a few days prior. Knot-tying is a small skill with little application in the frontcountry, but when my students persisted in trying to improve at it, they learned that they were able to learn new skills and overcome challenges. The same was true for all of the other skills necessary to travel and live comfortably in the wilderness, which encouraged my students to learn and perform their daily tasks to the best of their abilities. Mosquitoes and rain storms were especially compelling. But anecdotes aren’t the only evidence to support the importance of nature. Decades of research have shown the wide range of personal benefits that stem from wilderness. These include developmental benefits (e.g., change in self-concept, self-actualization, skill development, etc. ), therapeutic benefits, physical health benefits, self-sufficiency benefits, social identity benefits, educational benefits, spiritual benefits, esthetic and creativity benefits, and symbolic benefits (Driver et al., 1987). More specifically, studies have found that it is common to gain confidence by learning new skills and overcoming challenges thought impossible (Arnould & Price, 1993). Relating with others day after day while trying to accomplish a common goal helps individuals develop a sense of identity and belonging in a group, so much so that the creation of community often becomes a central theme in a wilderness experience (Arnould & Price, 1993; Driver et al., 1987; Roggenbuck & Driver, 2000). A study of outfitters and guides also found that those tied to wilderness for commercial gain saw the powerful, positive role wilderness plays in people’s lives (Parker & Avant, 2000). Organized programs for youth, families, veterans and other specific populations use the wild settings of the Boundary Waters to facilitate meaningful experiences for their participants. The wilderness itself can play a vital role in the participants’ education, as it provides the unexpected--and often challenging--circumstances that the participants must learn to overcome. 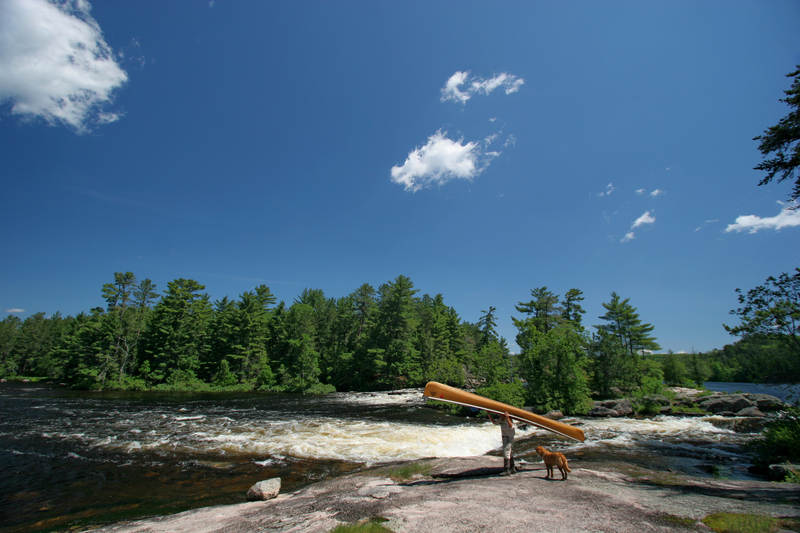 Additionally, the Boundary Waters is ideally suited to host groups of people from a variety of backgrounds. Due to its relatively low technical requirements, the Boundary Waters welcomes those who only know the rudiments of camping, canoeing and navigation and don’t have the resources to acquire necessary but expensive equipment. When was the last time you heard of someone needing a climbing harness or avalanche beacon to traverse it? Whether these participants are middle school students learning what they’re capable of in a YMCA camp, teens learning that college is within their reach through an Upward Bound program, or veterans experiencing the support of community in the wilderness with Voyageur Outward Bound School or Wilderness Inquiry, they can learn much from the wilderness character of the Boundary Waters. It’s no secret that the Boundary Waters is the nation’s most heavily visited wilderness area, but what we can sometimes forget how lucky Minnesota and the Midwest Region is to have such an incredible and iconic place in their own backyard. A reasonable drive can deliver people from all over the region to the edge of a nationally beloved wilderness area that offers unlimited opportunities for self-discovery, self-confidence building and restoration of the body and soul. The Boundary Waters is ideally suited to offer the personal, social, and intrinsic benefits that decades of research show result from protecting wilderness, and Minnesota has the responsibility for keeping it that way. 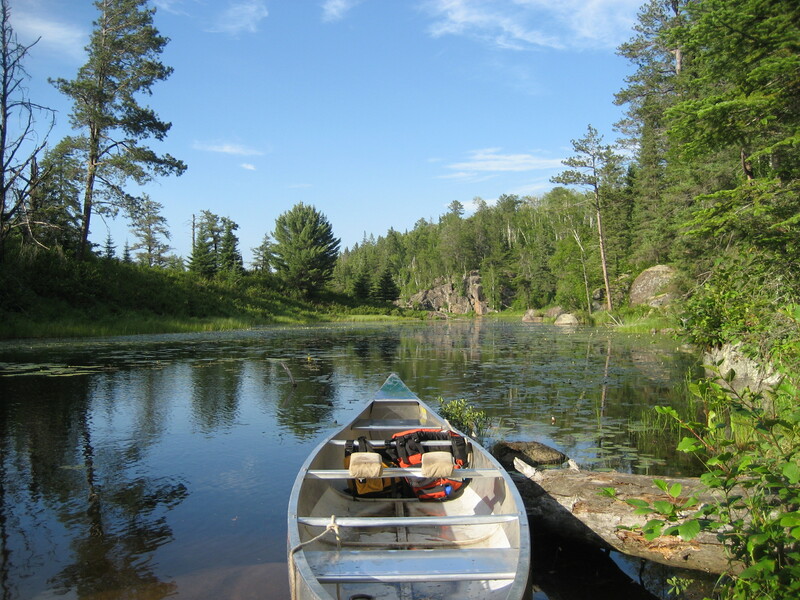 Have you had a personally significant experience in the Boundary Waters Canoe Area Wilderness? If so, we’d love to hear about it! You can share your story with us at info@savetheboundarywaters.org. Arnould, E. J., & Price, L. L. (1993). River magic: extraordinary experience and the extended service encounter. Journal of Consumer Research, 20, 24–45. Driver, B., Nash, R., & Haas, G. (1987). Wilderness Benefits: A State-of-Knowledge Review. In R. C. Lucas (Ed. ), Proceedings--National Wilderness Research Conference: Issues, State-of-Knowledge, Future Directions. Paper 78. (pp. 294–319). Ogden, UT: U.S. Department of Agriculture, Forest Service, Intermountain Research Station. Parker, J. D., & Avant, B. (2000). 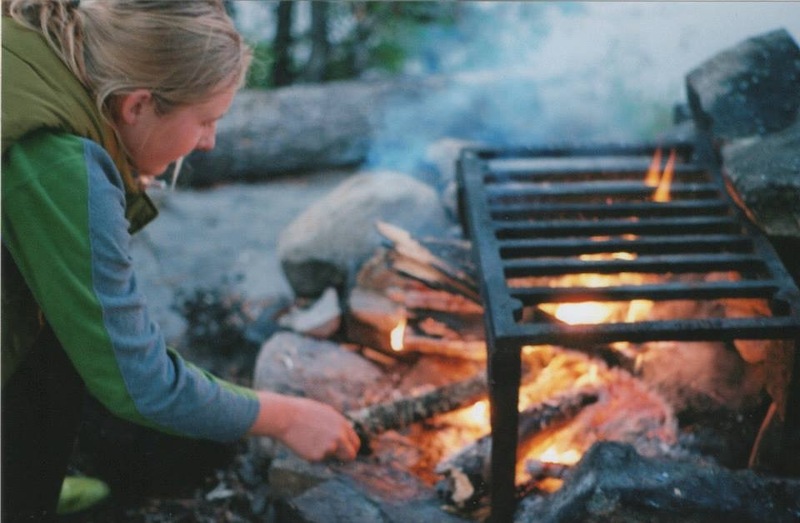 In Their Own Words: Wilderness Values of Outfitter / Guides. In S. F. McCool, D. N. Cole, W. T. Borrie, & J. O’Loughlin (Eds. ), Wilderness science in a time of change conference--Volume 3: Wilderness as a place for scientific inquiry; 1999 May 23-27; Missoula, MT. Proceedings RMRS-P-15-VOL-3. (pp. 196–201). Ogden, UT: U.S. Department of Agriculture, Forest Service, Rocky Mountain Research Station. Roggenbuck, J. W., & Driver, B. L. (2000). Benefits of Nonfacilitated Uses of Wilderness Purposes. In S. F. McCool, D. N. Cole, W. T. Borrie, & J. O’Loughlin (Eds. ), Wilderness science in a time of change conference--Volume 3: Wilderness as a place for scientific inquiry; 1999 May 23-27; Missoula, MT. Proceedings RMRS-P-15-VOL-3. (pp. 33–49). Ogden, UT: U.S. Department of Agriculture, Forest Service, Rocky Mountain Research Station. Science Desk: Isn’t It Time We Learned Our Lesson? Before the Gold King Mine in Colorado released a torrent of acidic water into the Animas River, I had planned to follow up the Mount Polley anniversary notes with observations of other mines across North America that have made the news for unexpected releases of polluted materials into their surrounding environments. 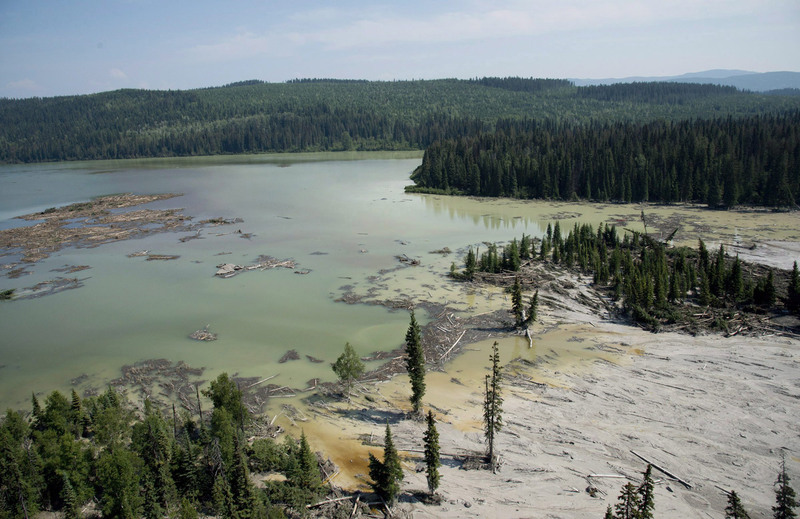 These fall into the category of contamination considered to be less individually severe but that occur more frequently than a catastrophic failure like the one at Mount Polley. For instance, British Columbia shut down the Yellow Giant underground gold mine on Banks Island in mid-July 2015 for releasing polluted materials into lakes, creeks and a wetland. Yellow Giant had only been operating for three months before it released an “unauthorized” discharge in March, and again released effluent and tailings in June and July. The same article references additional small spills occurring at the Myra Falls and Copper Mountain mines in British Columbia in the last year as well. These run-of-the-mine (as it were) spills fit into a larger context of the industry’s frequent leaks and spills due to infrastructure failure, human error or unexpected conditions. To some extent, these releases are simply expected to occur -- thus the distinction between an “authorized” and an “unauthorized” discharge. What happens when polluted material makes it into the creeks, lakes, streams, wetlands and groundwater that surround a mine? It becomes incredibly difficult to monitor and clean up. Ask residents of Butte, Montana, who are locked in a debate with the U.S. Environmental Protection Agency (EPA) over whether a plume of metal-contaminated leach water is creeping toward the Silver Bow Creek, part of which was recently restored. Experts in mine waste remediation cannot agree what to do with the Parrot mine’s pile of tailings that has sat in the center of town since at least 1906. Over 100 years later, residents still fear the uncontrolled underground spread of contaminants, and must live with the toxic legacy of one the nation’s largest mining booms. A similar theme can be found in the in-depht articles discussing the Gold King mine spill. As Jonathan Thompson reported in High Country News, water pollution has been ongoing since miners first started digging up minerals in the Animas River watershed in the 1870s. A complicated series of corporate responsibility handoffs and ultimately legal and technical difficulties allowed water to build up in three mines, including the Gold King. Contaminated water seeped out of them, untreated, into tributaries of the Animas River. 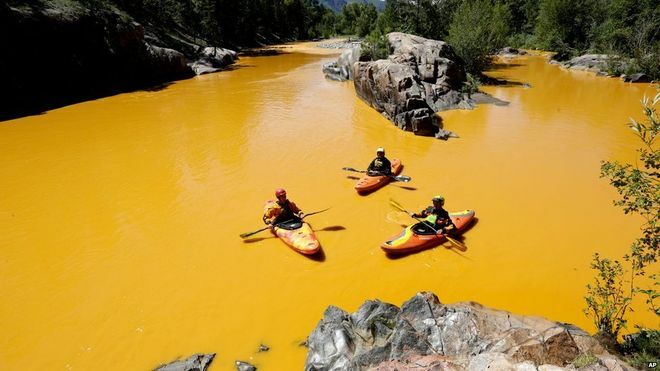 The EPA, in its efforts to address the thorny, complex problem of ongoing runoff, proved just how difficult it is to clean up mine waste: it accidentally triggered an even larger spill of an estimated 3 million gallons of acidic mine seepage water and sludge that turned the Animas River orange. The complexity of the issue is truly stunning, and it is instructive how promises of mitigation, remediation and responsibility for water treatment in perpetuity ring false. Mt. Polley. Yellow Giant. Myra Falls. Copper Mountain. Parrot. Gold King. Though these mines are far away from the Boundary Waters, we must learn from their failures. 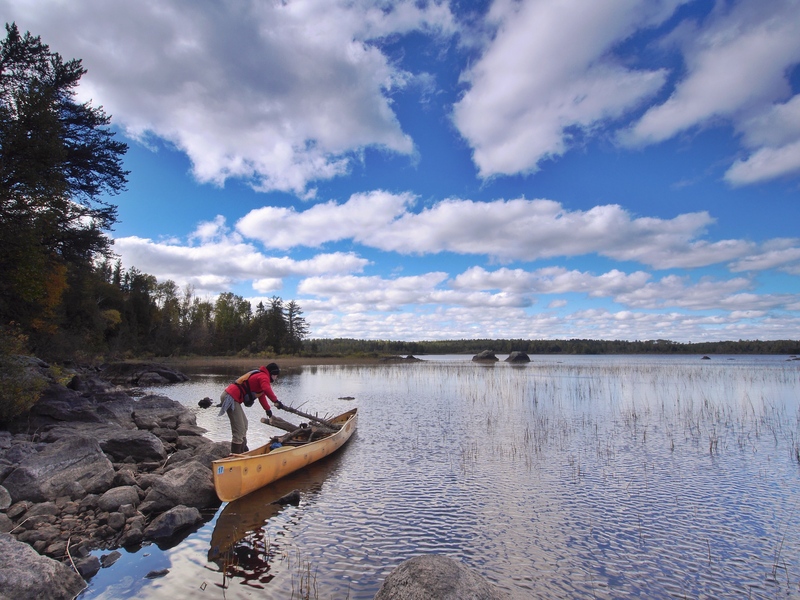 If we don’t, then the pristine water of the Boundary Waters and Voyageurs National Park will be at risk for decades --and centuries--of contamination. As the diverse array of mine failures in the past year has shown us, the complexity of mining pollution makes prevention and clean-up incredibly difficult. The only fail-safe way to protect the Boundary Waters and Voyageurs from sulfide-ore copper mining pollution is to prevent it from occurring in their watershed in the first place.